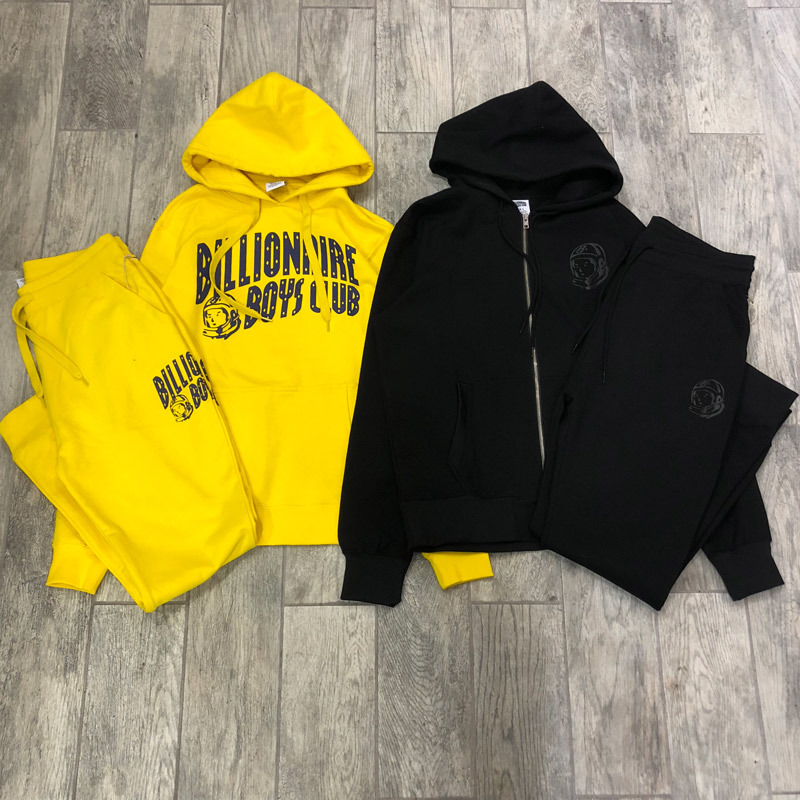 Billionaire Boys Club is back at it again! Pull out your wallets and get your cards ready because BBCICECREAM just launched their brand new Holiday collection! Whether it’s for yourself or you're starting your Christmas shopping early, this new drop is fit for either occasion. You for sure started your search off right by clicking on our boutique’s website or coming into one of our stores! Getting right into the collection, it was without a doubt a huge win for everybody. The new collection features hoodies, crew necks, zip ups, joggers, beanies, snap backs, a scarf, and not only tees but long sleeves as well! There were a lot of base colors that were reoccurring in the clothing this drop including navy blue, yellow, & red. All of which just happen to be the three primary colors. These are colors that you can almost never go wrong with. They kept it simple but also added something a little special to most of the pieces. Though the colors aren't too crazy this collection they threw some polka dots in the mix & it makes everything pop. 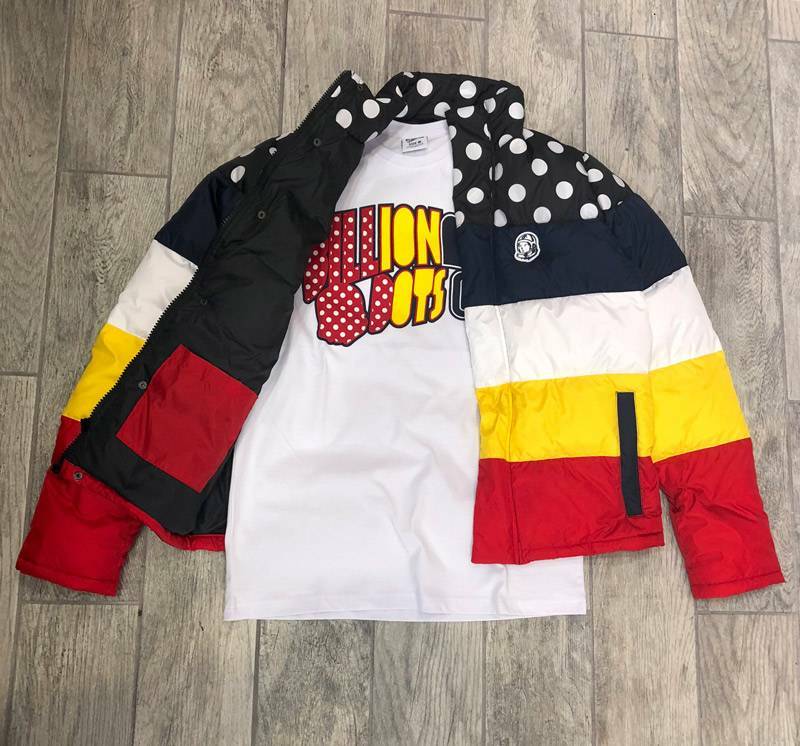 They came out with the Billionaire Boys Club Spotted Arch Hoodie that has an allover polka dot print and it is fire! If you're trying to really pop out within a crowd that’s for sure the way to go. Since it’s starting to get a little colder we know everybody has been searching for some appropriate street wear attire. Of course sweatsuits are the go to when you want to be comfortable but still look good. Luckily we got the supply for y’all! Red, yellow, black, & grey we got it. 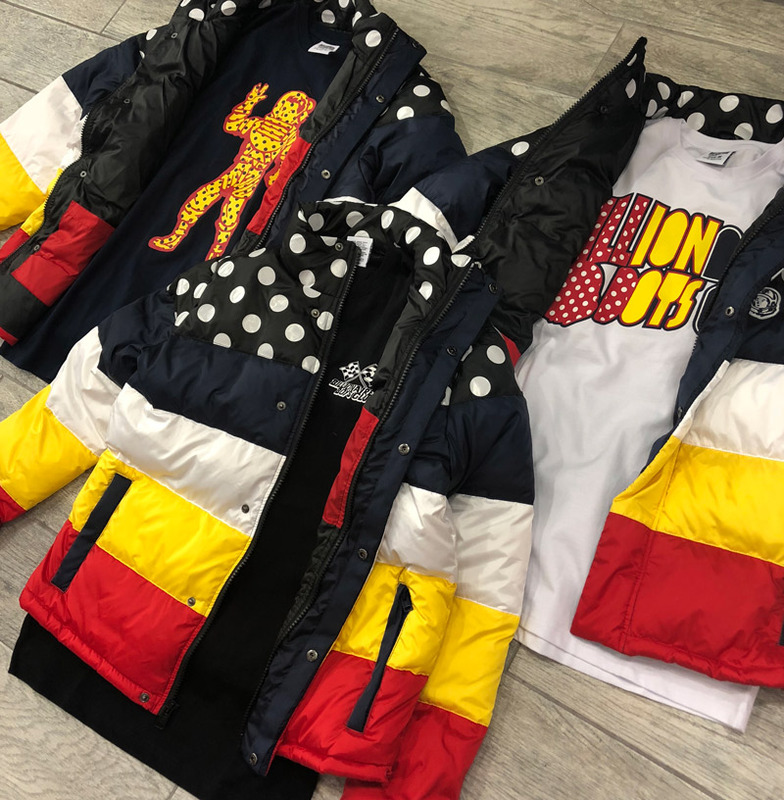 Even though the whole collection is fire, my favorite from the whole drop had to be the Billionaire Boys Club Puffer Jacket. It’s warm and appropriate for this time of the year. It includes all the colors i talked about above & even some polka dots as well! It’s a super dope winter jacket to just throw on or even dress up a little more. Tie it in with the Draftwinds Beanie and you're ready for the holiday season. I know this drop is hella close to the end of the year but it is not the last one! We will receive one more collection from bbc so be on the look out! Stay posted with our website or socials for the last collection of the year. You will not regret it!